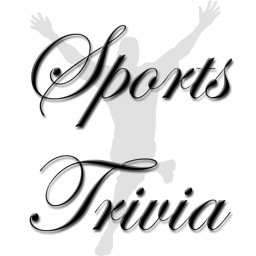 Trivia that covers football, basketball, baseball, hockey, soccer, tennis, golf, and more. 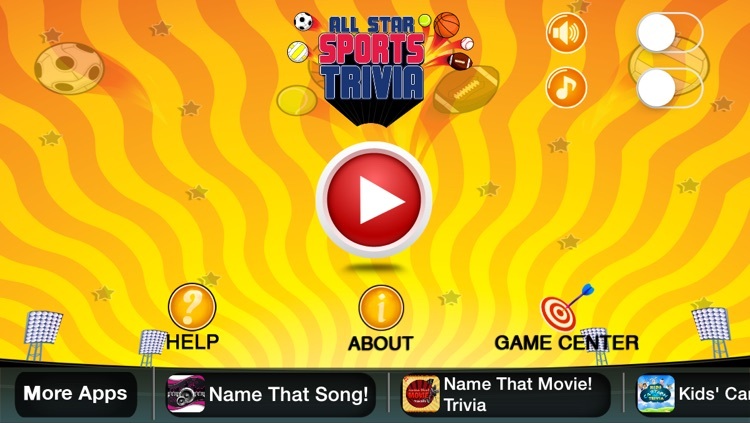 The trivia questions can cover specific sports, teams, players, logos, or be in all in one sports offering. 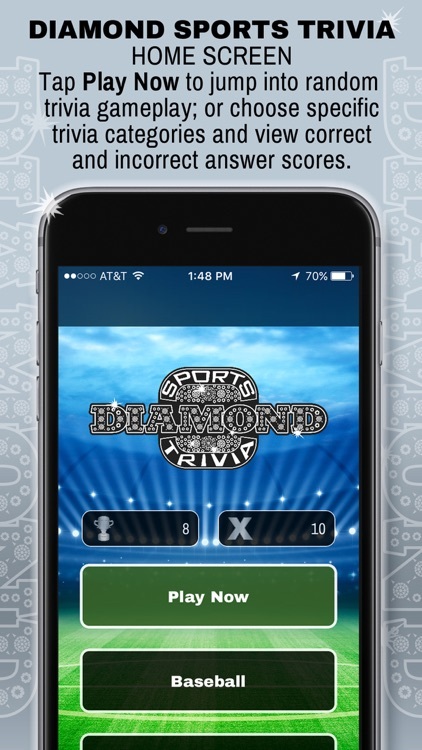 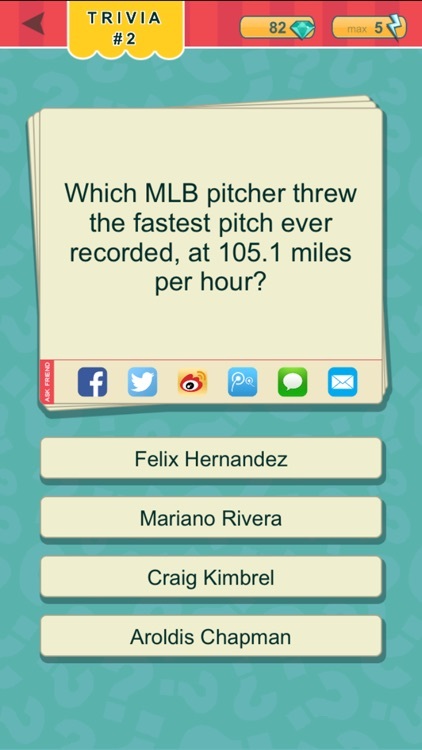 Diamond Sports Trivia is a new and exciting game for sports fans of all ages. 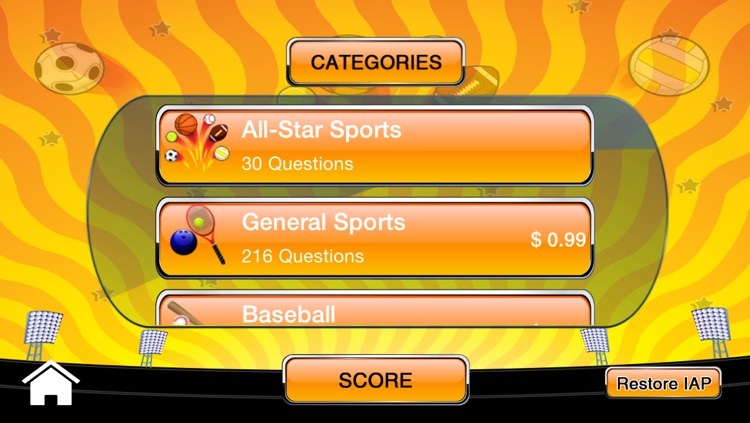 The App features a little something for everyone with over a dozen different categories and thousands of questions. 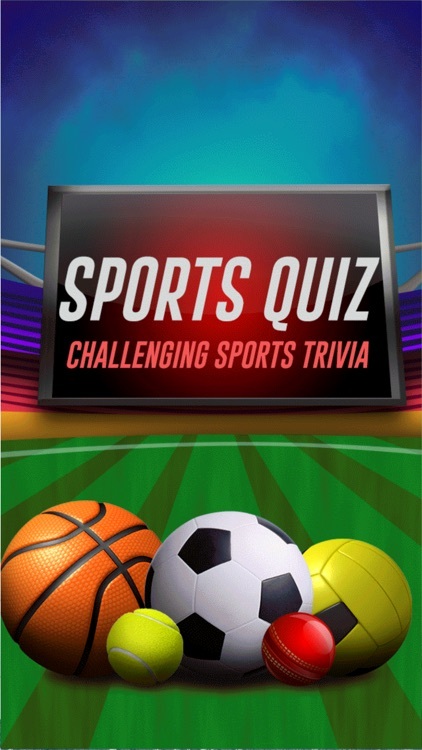 If you're not a sports expert now, you will be after you play this challenging sports information game. 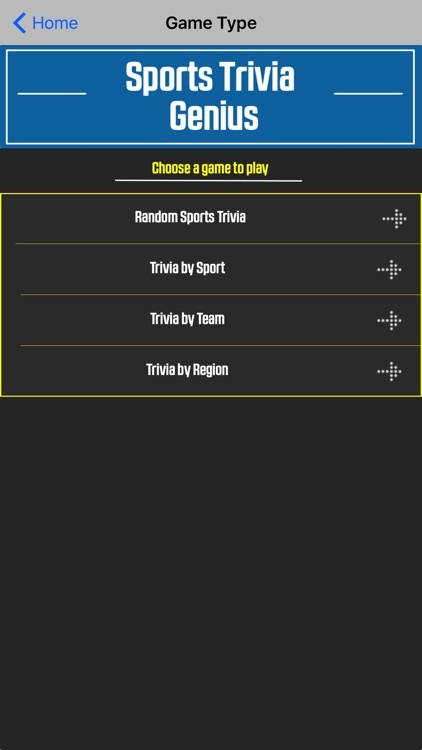 Sports Quiz - Challenging Sports Trivia for all. 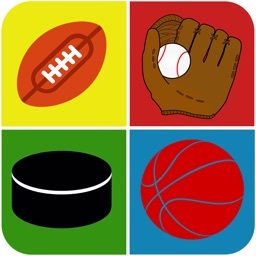 Sports fans love this game, others become fans by playing this game! 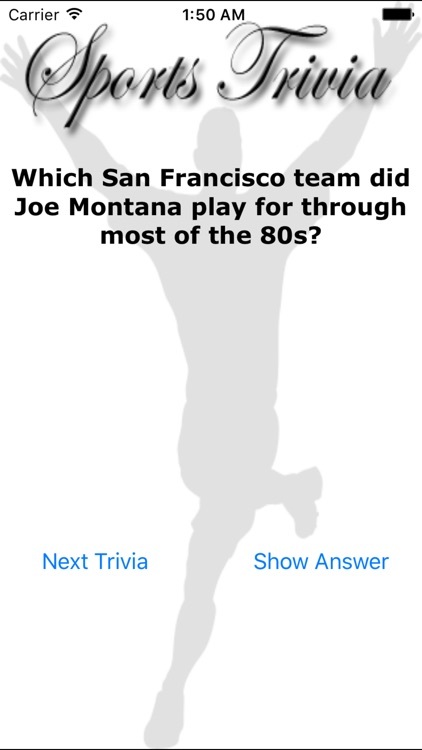 Test your knowledge on everything related to sports, from basketball to hockey, from World Cup to Olympics! 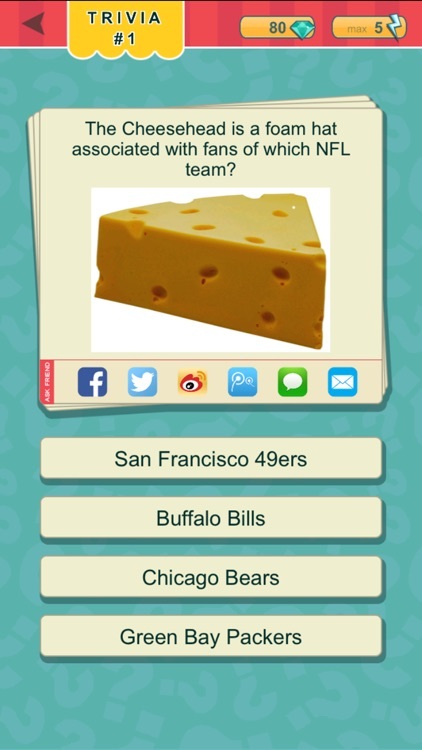 You will be surprised how much you already know! 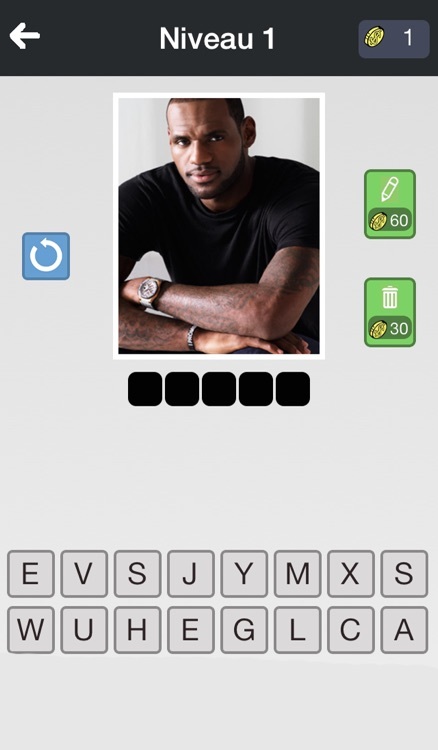 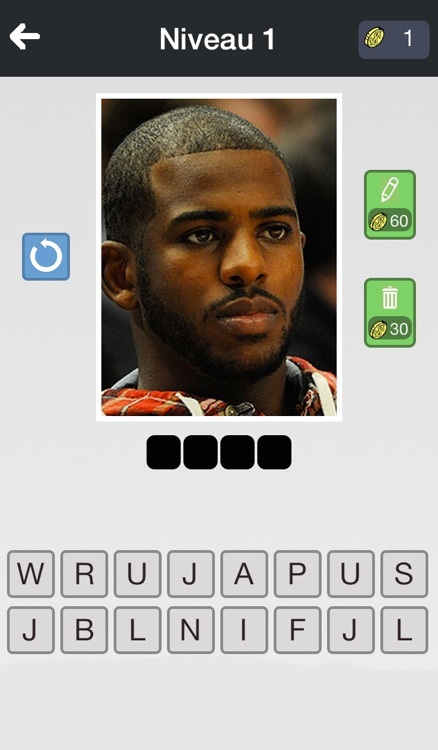 Who's the basketball player? 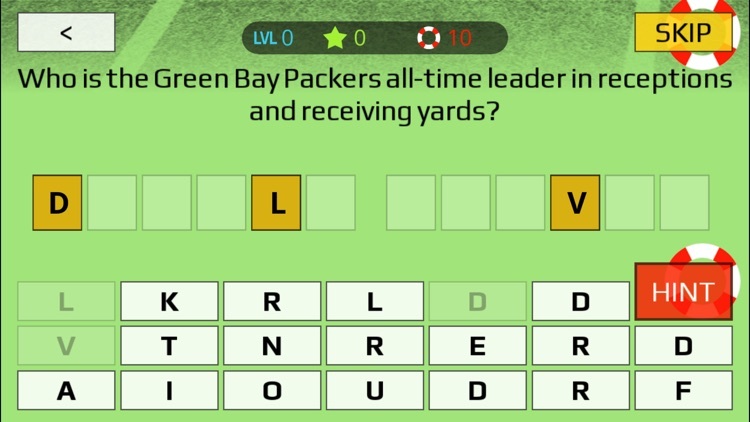 Guess it, find them all. 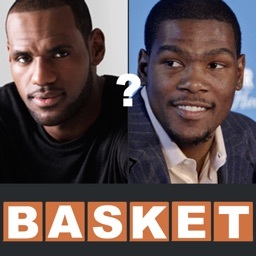 Each picture match one very famous basket player. 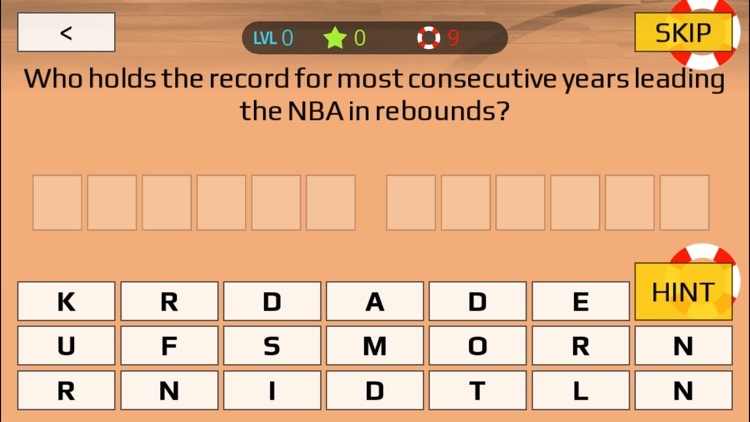 You have to click on letters and write the good identity of the basket player, your goal is to find them all. 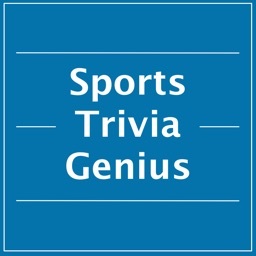 # We give you the team LOGO and the first half of the name. 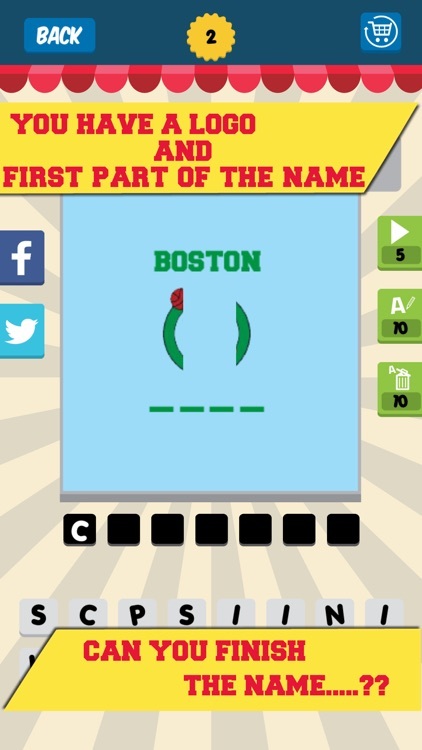 # Can you finish the name ? 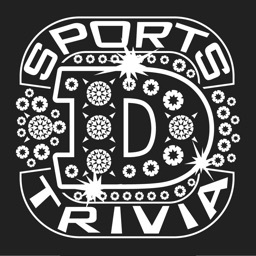 NFL trivia, MLB trivia, NBA trivia, NHL trivia, NCAA trivia and more! 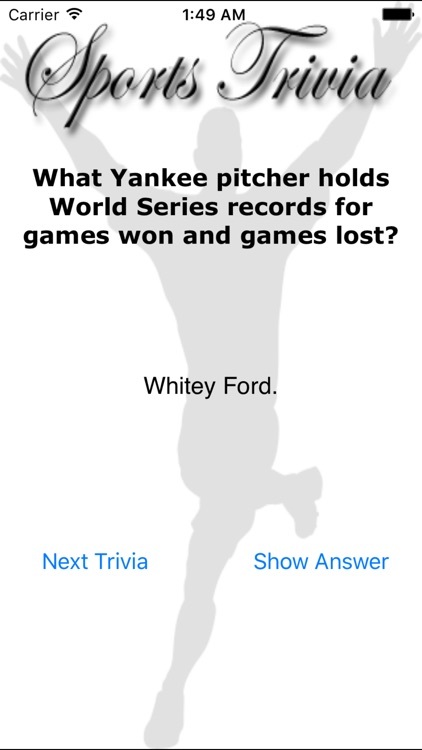 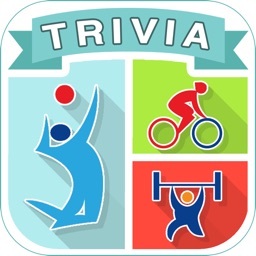 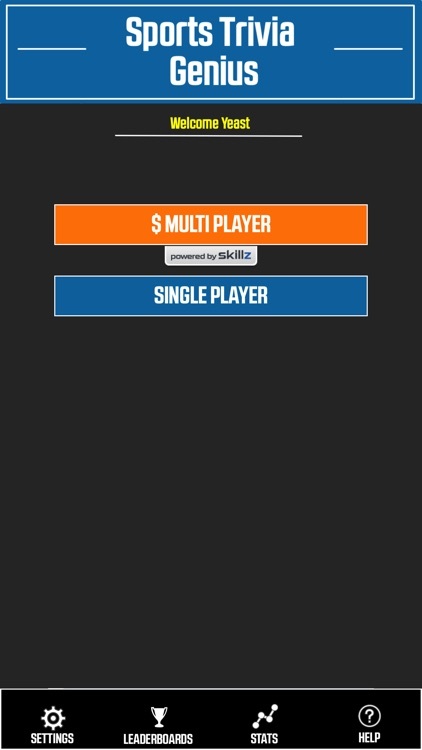 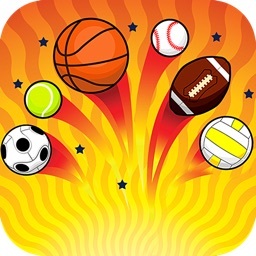 This app contains a collection of more than 370 sports trivias. 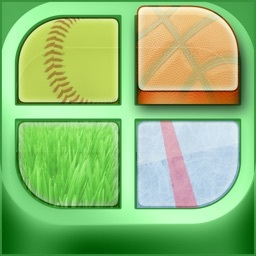 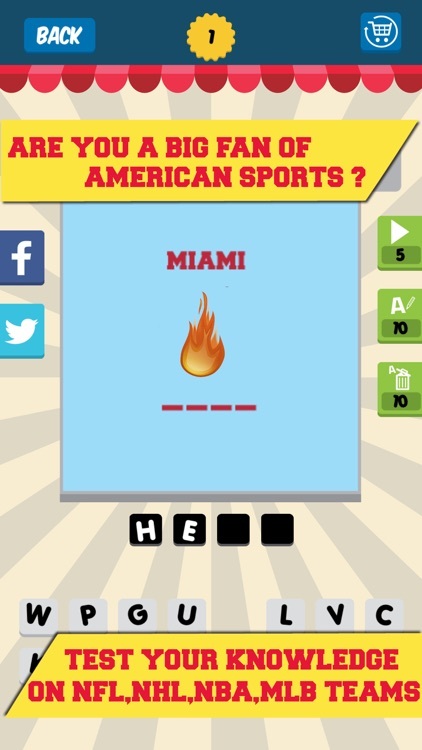 This app will give you a fun and an easy way to check your knowledge about sports and to learn more about sports!